I don't always feel qualified to share tips about the writing process. After all, sometimes I barely feel like a writer at all. I will go long periods--usually days, but sometimes weeks--without churning out anything new, revising anything I've written, or re-reading something I'm working on. So the word count/time devotion method is hard for me to stick to and that's probably to my detriment. A lot of writers will tell you that the important thing is to write something even if it's short. Even a poem or a brief reflection piece is better than nothing. I often fail at doing this. I try to keep my writing tools sharp every day, and since I work in TV news, I write something every day. The things I write aren't usually creative...they're news stories, full of buzzwords and condensed information that sometimes isn't even all that helpful (just ask my buddy Chris over at Write Now Indy). That being said, at least I'm writing something, I suppose. 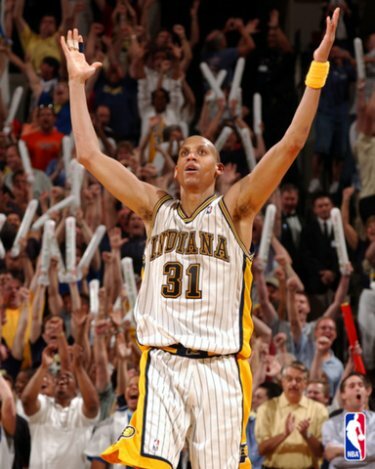 In terms of writing productivity, I'm a streak shooter...a clutch assassin like Reggie Miller. I have my off games when I don't make my average, but I make up for it with huge bursts of creativity. When the game's on the line, I come through with a story idea or a good plot twist that makes something interesting. Three weeks ago, for example, I didn't write anything on Monday. Or Tuesday. 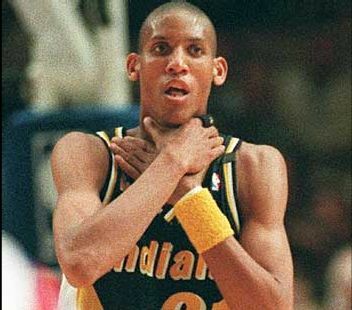 Sometimes you miss ten straight, sometimes you make ten straight. Then I saw some anthology series with open submissions and that sparked some ideas. By the end of the week, two finished short stories--"Last Stand on Cyclonus Seven" and "Grisham's Council"--blasted from my fingertips. Those two stories totaled about 13,500 words (that's about 70 pages double-spaced in Microsoft Word). A third short story called "To the Infinity Room!" also came out. That story flowed out easily until I got about 2,500 words in (if you catch a theme here, do know that writing is all about word counts when it comes to marking progress). After that, I hit a little bit of a brick wall. Where did I want the story to go next? So, I put that story aside, brought out my trusty notebook (the same one where I found this writing from high school) and started sketching out ideas for how I wanted the story to progress. After about an hour, I had a rough outline detailing the next few scenes. As I sit in front of my computer on this Saturday morning, I know it's time to return to "To the Infinity Room!" because I'm inspired and I know where the story is going to go. I'm certainly not a counter-culture type of guy--most people would tell you that I belong more in the 1950s than the 21st century--but the daily word count and set hours of writing advice doesn't usually work for me. I've tried it, put on music, disconnected my wireless ethernet card to avoid distractions, and then stared at the wall while hoping to see the paint dry some more. 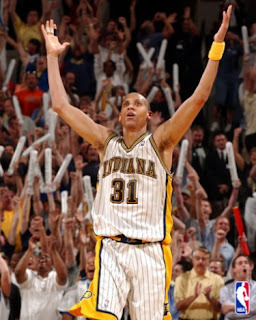 To continue the Reggie Miller analogy, suddenly I'm chucking up three-pointers and they're bouncing off the front of the rim, clanking off the back of the rim, rolling in and out, and catching nothing but air (accompanied by a raucous "AIRBALL... AIRBALL... AIRBALL" chant from an imaginary crowd). An hour later, I see something that sparks an idea or a long-dormant story concept fires off in my brain, and I'm sitting in front of the keyboard as characters and worlds come to life. 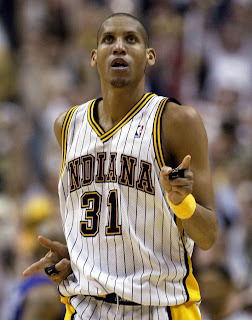 In basketball terms, I'm "in the zone"...in Reggie Miller terms, I'm taking it to the New York Knicks. Just like that, the words come by the thousands. It's not the prescribed method (in fact, it goes against almost every piece of advice you'll find when authors talk about their writing process), but it's what works for me. That's why I think it's important to find your own writing method and your own muse. Very nice analogy. It can be frustrating when you're seeing other writers have success with techniques that don't work for you. I'm glad you've found a system that fits your style. Whatever it takes to get it out of your head and on to paper. Yeah, it's not that I don't want to write every day, because I do. But sometimes the words just won't come. It makes no sense to putter around on the computer and get absolutely nothing done for hours on end.